The N7020A power rail probe is for users making power integrity measurements that need mV sensitivity when measuring noise, ripple and transients on their DC power rails. The probe is designed for measuring periodic and random disturbances (PARD), static and dynamic load response, programmable power rail response and similar power integrity measurements. Many of today’s products have tighter tolerances on their DC power rails than the previous generations of these products, and the N7020A power rail probe is designed to help users assure their products meet these tighter tolerances. 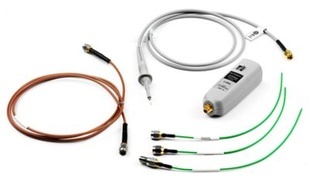 The N7020A power rail probe can be used with the Keysight InfiniiVision 3000T and 4000 X-Series oscilloscopes, and the Infiniium S-Series DSO and MSO high-definition oscilloscope and the Infiniium 9000 Series DSO and MSO oscilloscopes running software revision 5.20 or newer.